While it might be more common to chat with friends on apps like Twitter, Messenger, or WhatsApp, direct messages on Instagram are becoming more and more sophisticated. Case in point, the app is rolling out a new feature to users that shows a "green dot" next to friends who are online. Luckily, you don't have to let your followers know when you're browsing photos if you don't want to. 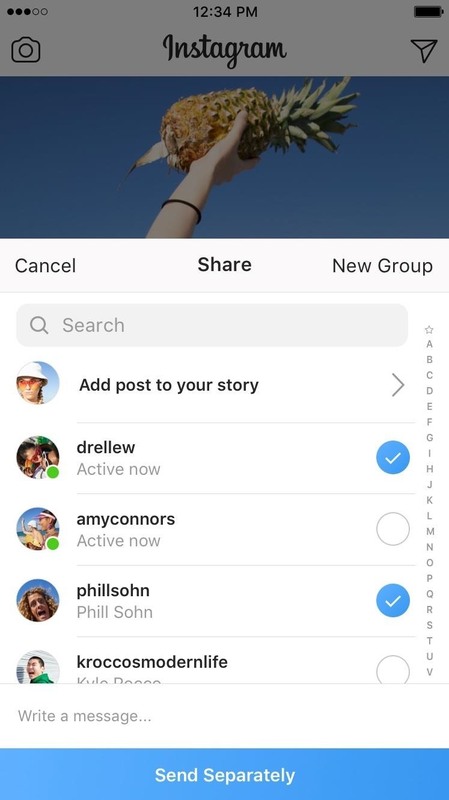 This feature isn't the first time Instagram has clued users in on the status of their friends. The app first introduced the "Activity Status" in January 2018. This status would tell your friends if you were online, or how long it had been since you opened the app, with no green indicator dot in sight. Now, the two are paired together. Here's how to shut them both off. 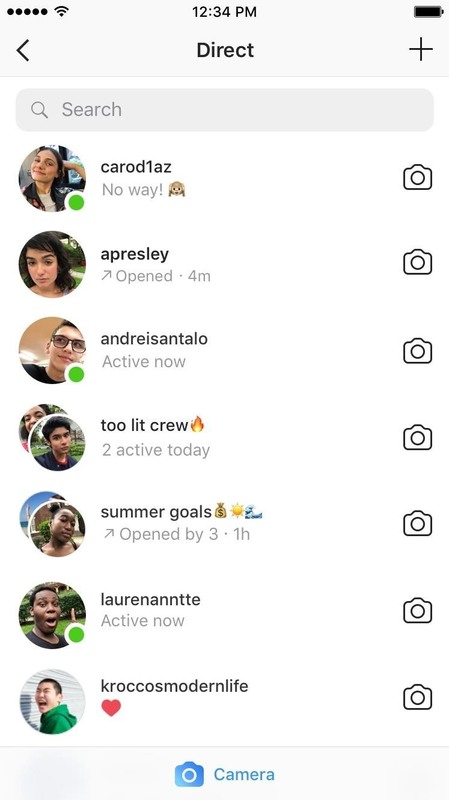 For specificity, the green dot only appears in your direct messages list as well as in the friend's list when you go to share a post as a direct message. Only friends or users you've messaged will be able to see the green dot, so if your concern is strangers seeing your Activity Status, that won't be the case here. Still, for us privacy-wonks, the Activity Status is too much in the first place. 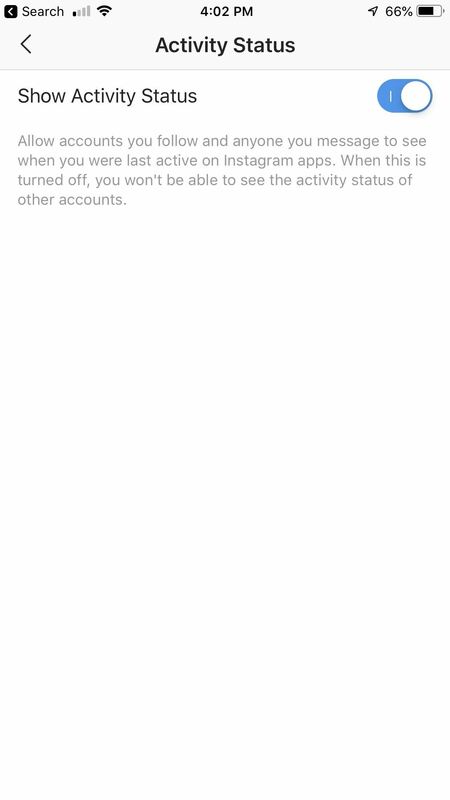 Luckily, disabling the green dot Activity Status is straightforward and simple. 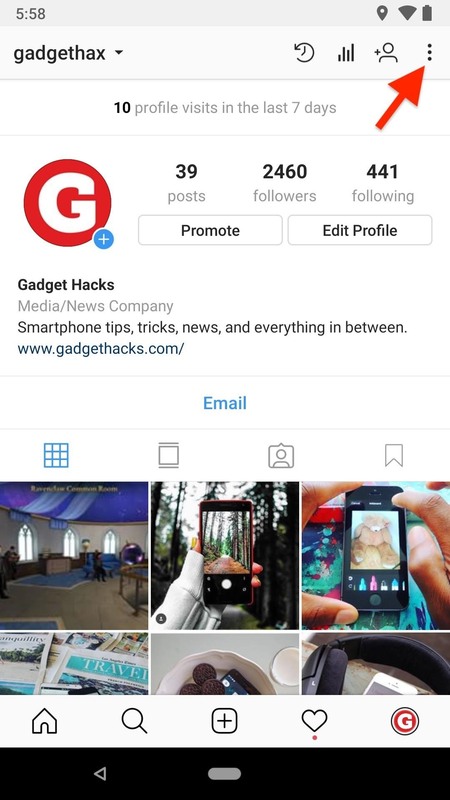 Head over to your profile, then tap the cog (iOS) or overflow icon (Android) to access the Options or Settings, respectively. 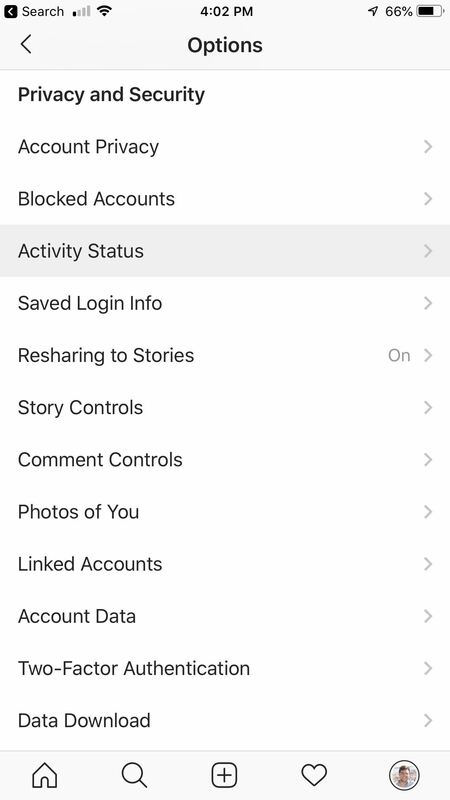 Under the Privacy and Security header, select "Activity Status." Then, on the following page, simply disable "Show Activity Status." Blue means it's enabled, so make sure it's not blue. It couldn't be more straightforward. 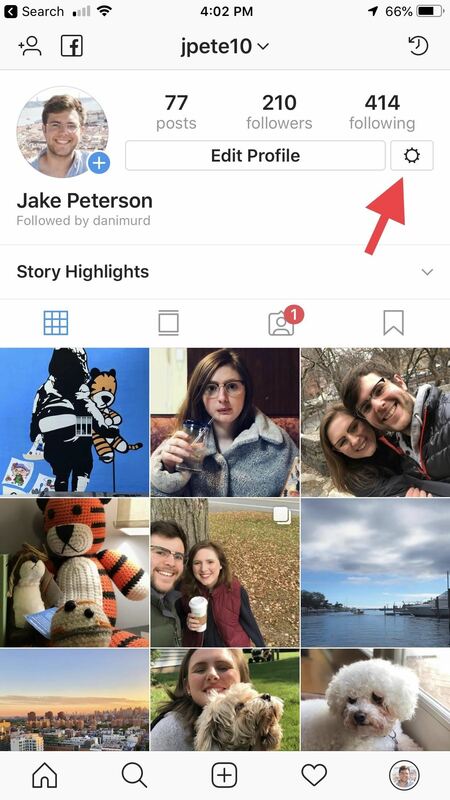 More apps, services, and companies could take a page from Instagram here — if you're going to implement a new feature, think about giving users the ability to quickly and easily disable it.